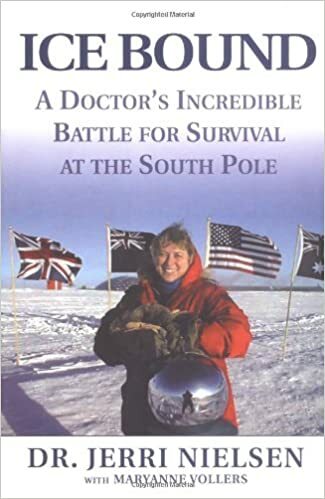 Jerri Nielsen was a forty-six-year-old doctor working in Ohio when she made the decision to take a year's sabbatical at Amundsen-Scott South Pole Station on Antarctica, the most remote and perilous place on Earth. The "Polies," as they are known, live in almost total darkness for six months of the year, in winter temperatures as low as 100 degrees below zero--with no way in or out before the spring. During the long winter of 1999, Dr. Nielsen, solely responsible for the mental and physical fitness of a team of researchers, construction workers, and support staff, discovered a lump in her breast. Consulting via email with doctors in the United States, she performed a biopsy on herself, and in July began chemotherapy treatments to ensure her survival until condition permitted her rescue in October. A daring rescue by the Air National Guard ensued, who landed, dropped off a replacement physician, and minutes later took off with Dr. Nielsen. This is Dr. Nielsen's own account of her experience at the Pole, the sea change as she becomes "of the Ice," and her realization that as she would rather be on Antarctica than anywhere else on earth. It is also a thrilling adventure of researchers and scientists embattled by a hostile environment; a penetrating exploration of the dynamics of an isolated, intensely connected community faced with adversity; and, at its core, a powerfully moving drama of love and loss, of one woman's voyage of self-discovery through an extraordinary struggle for survival.